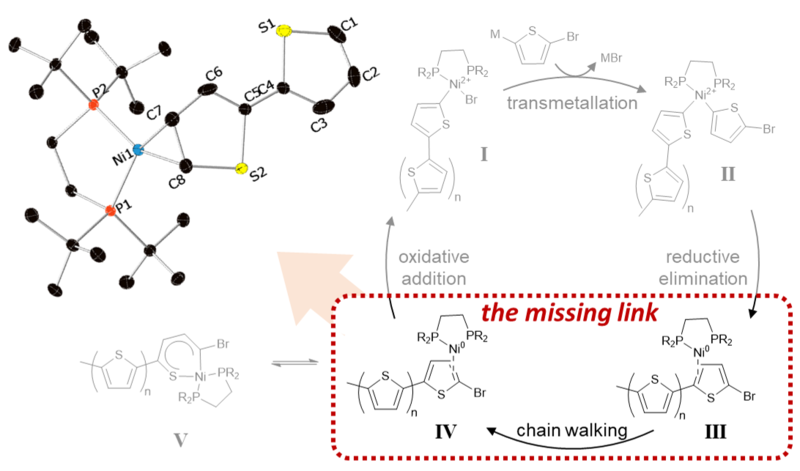 Weiying's article on the identification and characterization of important Ni(0) thiophene species has now appeared in Nature Communications. His studies provide the first concrete evidence for the nature of important intermediates in nickel-catalysed CTP to form polythiophenes. Although the general structure of the intermediate is not unexpected, the nature of the bonding in these species is intriguing and provides a rationale for the surprisingly strong binding of the emerging polythiophene chain and thus explaining how such processes are 'living' polymerizations. Congrats Weiying!